Norman Mooney was born in Dublin Ireland in 1971. He studied at the Crawford College of Art and Design in Cork and completed his BFA at the National College of Art in Dublin, 1992. He then received the distinguished honor of participating in the Third Degree program at the Irish Museum of modern Art from 1992 to 1993. In 1994 he relocated to New York City and has been exhibiting locally and internationally for more than 20 years. Recent exhibitions include, What happens today will last forever at Causey Contemporary in New York, In Sight at Marso Gallery in Mexico City, Meeting in Brooklyn presented at Landcommanderij , Alden Biesen in Belgium. Norman makes works that are at once physical and metaphysical. His works explore the elemental and cyclical synergies of nature. Materiality, pattern, scale and experience are key concerns within his practice. 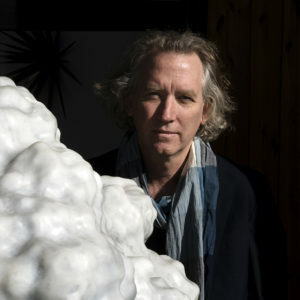 Norman makes sculpture, interior and exterior installations, drawings and works on paper, his methodology is one of experimentation and process with materials such as smoke, glass, steel and resin. Taikang Wuyuan Art Museum, Shanghai, China, Windseeds. Double Seven, New York, NY, USA, Fire. Argent Ventures, Collection, New York, NY, USA, Lead Column 1,2 And 3, and Transparency. Interview by Bret Littman, Published by Causey Contemporary, 2008.